Greetings, dear readers, and happy Monday! I hope you enjoyed your weekend and the new week is off to a great start! LynB Designs released a Lisa Frank-inspired collection earlier this month, and today's post features Part 2, launching later this week! The second part of the Let's Be Frank Collection consists of five bright shades that are sure to get you in the mood for summer! Let's get a closer look at each of these polishes! A bright spring green with holo shimmer and gold to green to blue shifting shimmer. While I may not like the flavor of celery, I do like the colour, and this certainly reminds me of it! Between the gorgeous shimmery hue and an impeccable formula that practically applies itself, this is sure to be a go-to polish this season! Photos are shown with 2 coats plus top coat. A bright red/coral base with purple to blue shift, green shimmer, and white glass flecks. I absolutely adore the colour of this polish! It pulls a vibrant watermelon shade on me, and it is a colour I gravitate towards a lot over the hot summer months. I would avoid painting ultra thin coats of Don't Go Bear as I found the glass flecks would dig into the previous layer when I did that. It's certainly no problem, and I found it to still be easy to apply overall. Photos are shown with 3 coats plus top coat. A bright blue base with pink to purple shift, holo shreds, and a scattering of green glass flecks. While I was expecting Don't Go Bear to be my favorite shade from this set, it was Dashly Handsome that stole my heart. The combination of the shift, shreds, and glass flecks is glorious! Because it is packed with so much goodness, the formula has a slightly thick almost chunky nature. In spite of it, it applied pretty easily for me to a relatively smooth finish although I did have to add a layer of top coat for a final smoothing step. A pastel purple with tons of rainbow glass flecks, a rainbow of iridescent microglitter, and holo shimmer. I used to not pay much attention to pastel purples as they really aren't quite my thing, but Re-Markie-ble is undoubtably remarkable! This polish is beautifully feminine and delicate with the glass flecks and microglitters, and it is certainly a contender for top polish in this collection. The formula is on the sheer side so it could be a magnificent topper if you opt to go that route. While I managed to get away with three coats, those with longer nails may find they need to use four coats for opacity. 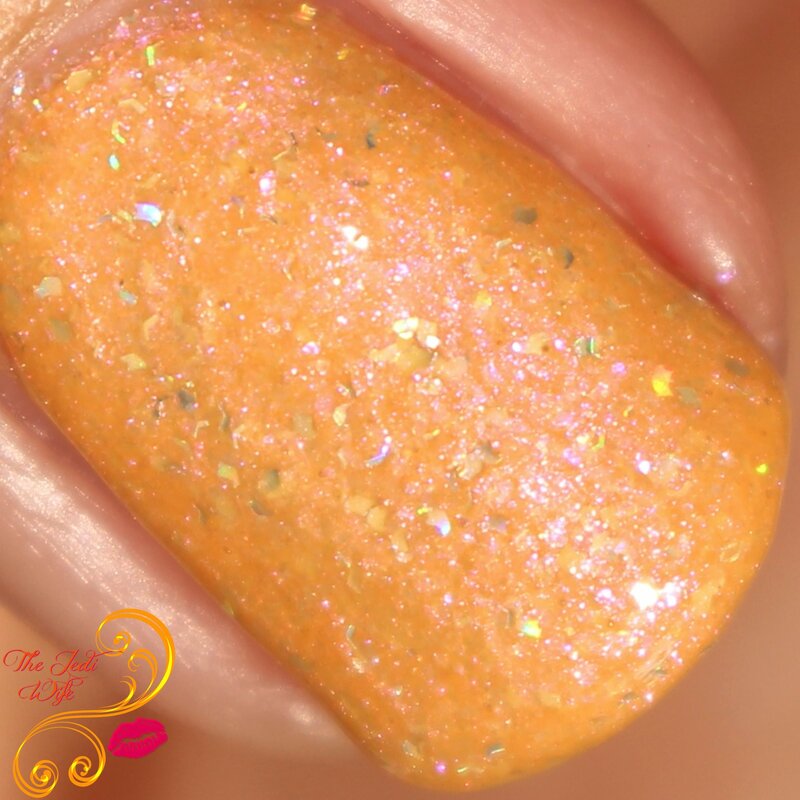 A warm toned yellow base with pink to green shimmer with hint of purple flakes and holo micro shreds. Yellow colours aren't my top choice, but What's the Buzz has the perfect touch of orange that makes it perfect for me! 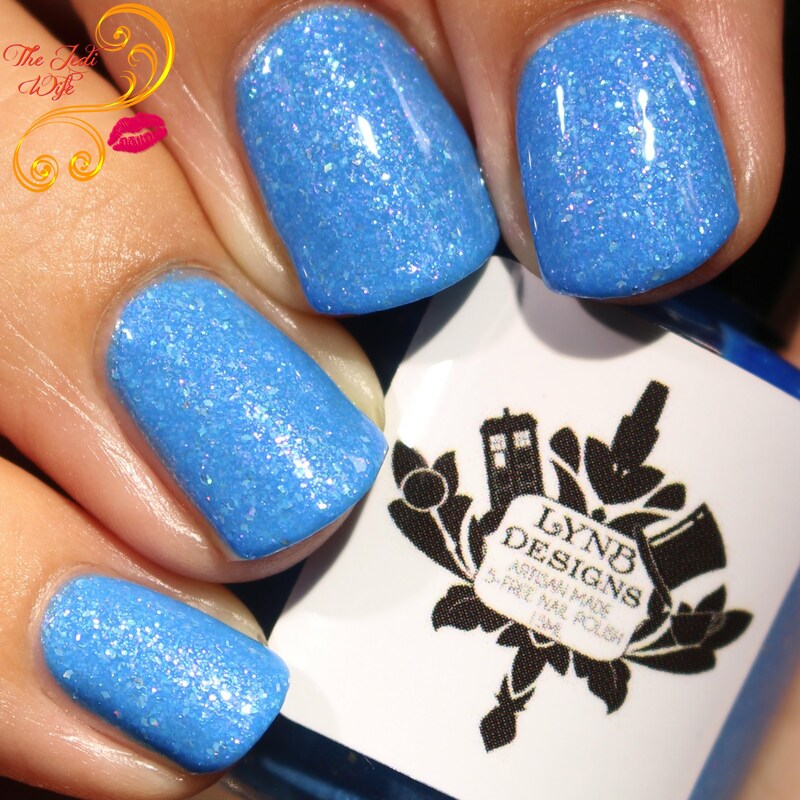 This is another polish that you can't apply too thinly as this may have the flakes digging into the previous coat and leaving an uneven finish. It's not a deal-breaker for me, but it is something to keep in mind, particularly if you normally do use ultra thin coat in your nail polish application. The second part of the Let's Be Frank Collection will be launching this Friday, April 27th at 12 noon EST on the LynB Designs website located here. Each of the shades will retail for $10, but you can save half off these or any other orders during the first week of the launch with discount code FRANK. Do you have a favorite shade from this collection? Are you eager to get some bright colours on your nails this season? I'd love to hear from you! What a pretty set of soft neons! I love the shimmer in each. These are all so pretty! I love nice sets of pastels like these. these look so warm and fresh! Dashly Handsome is my favorite. I'm so ready for these spring shades. Normally I love the purples, but I'm loving the blue Dashly Handsome! So pretty! So fun and vivid, I like them all! These are so pretty. I love “peek a boo” and “don’t go bear” perfect shades for the summertime. I love them all but that blue ones is really standing out! These are so pretty my favorite are Re-Markie-ble and Dashly handsome! Perfect Spring/Summer shades. The plethora of shimmer and flakes is so pretty - reminds me of a couple of paperweights I used to have, which broke sadly. Dashly Handsome is my favourite!